The parish comprises the townships of Llanrhydd Ucha and Llanrhydd Isaf. Historically, St. Meugan's was the mother church of Ruthin, although it lies some distance outside the town of Ruthin. It is believed to date from the sixth century, and was mentioned in the Norwich Taxation of 1254. The church was repaired in 1626, and restored in 1852. 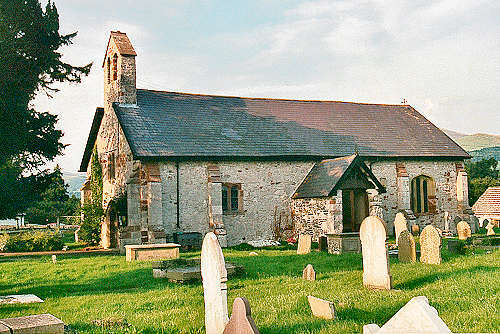 For family history information about the church and parish, visit the GENUKI Llanrhydd page.